Apple has officially releases full and final version of latest iOS 10.2 Firmware (Build 14C92) for iPhone, iPad, and iPod touch, watchOS 3.1.1 Firmware (Build 14S883) for Apple Watch, and tvOS 10.1 Software (Build 14U593) for Apple TV devices. Apple has also released iTunes 12.5.4, Safari 10.0.2, iCloud 6.1, and Transporter 1.9.2 updates. Apple iPhone 7, iPhone 7 Plus, iPhone 6S, iPhone 6S Plus, iPhone 6, iPhone 6 Plus, iPhone SE, iPhone 5S, iPhone 5C, iPhone 5, iPad Pro, iPad Air 2, iPad Air, iPad 4G, iPad Mini 4, iPad Mini 3, iPad Mini 2, iPod Touch 6G device users can free download and install iOS 10.2 Update as well as other updates instantly to experience addition of all new features, functions, and changes. The Official iOS 10.2 Direct Download Links are also available below. 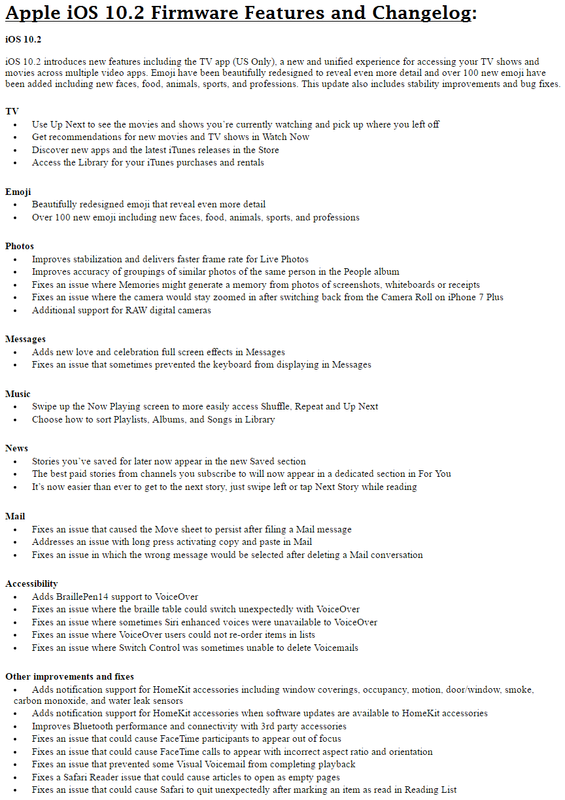 You can read full official iOS 10.2 Changelog in an image attached below. How to Install iOS 10.2 using iTunes? 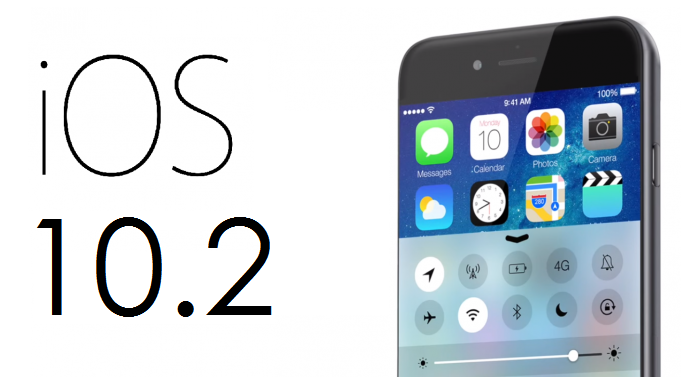 iOS 10.2 Update can be installed through manual installation, and as well as through over-the-air process, to get iOS 10.2 OTA Update, simply navigate to Settings >> General >> Software Update function on your iPhone, iPad, or iPod touch.